BMV Construction provides quality construction services, ensuring you get the home, the room, or the look you dream of. We have exceptional customer service - we over deliver because we believe that a business thrives when clients are happy. Our diverse skills give us the ability to develop your construction project through the entire building process, from the initial concept all the way through design, permitting, construction, and project completion. We understand that many of our clients are busy professionals. We strive to make the design and building process as seamless as possible, while communicating openly and honestly with our clients. 15% off projects over $10,000. 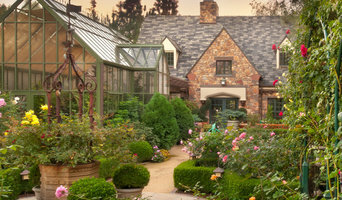 At Christiano Homes we are committed to building excellent quality custom homes and remodels. Our priorities are quality construction, attention to detail, building your home on time and on budget and having absolutely thrilled clients at the end of the building process and beyond. We are primarily a referral based business, so our clients' happiness is of the utmost concern. Thus in addition to building superior quality homes, we pride ourselves on providing superior customer service. We encourage continuous, open communication with our clients throughout the entire building process and our team is available to you every step of the way. With over 10 years of building experience we know what it takes to build you your dream home that reflects your style, while at the same time honoring your budget and your timeline. We would love to discuss your project and ideas with you. Please call us anytime to schedule a free consultation. Leising Builders has built a reputation for building quality custom homes and renovation. Over the years Jim has put together a team of craftsmen who work together to make sure that every project is done to the highest standards. Jim works directly with the client from the initial design stage to final completion of the project. The end results... all Jim's projects are on time and on budget... guaranteed. If you are looking for a professional building experience you have come to the right place. Leising Builders welcomes the opportunity to help you design and build your new home or remodeling project. Whether you use one of our associate designers or your own, our commitment is to provide you with the highest quality custom work while using the finest quality materials and craftsmen. From the initial design stage to the final completion, Jim Leising personally oversees your project. Jim Leising has been a General Contractor building quality custom homes and remodels in Southern California for over 30 years. While specializing in unique handcrafted homes and remodels Jim has built a reputation for exceptional quality and a personal commitment to excellence. 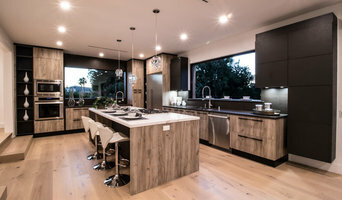 Premier Southern California luxury home builder with over 20 years of experience. Prestige Builders has built many distinctive and challenging projects and know what it takes to get the job done right. The success of the projects we have been involved with starts with a “team” approach. Establishing and maintaining good communications with all consultants, and subcontractors throughout the construction process is a crucial link in the success of any “custom” project and one that Prestige Builders strongly encourages. We take pride in our work and it shows in our projects. Prestige Builders operating philosophy: • A commitment to excellence; set the highest standards and produce superior quality projects. • Responsibility to our clients is first and foremost; establish a close, professional relationship with each client to ensure efficient project coordination, management and desired results. • Approach every job with dedication to doing our best; operate with the knowledge that we are only as good as our last job, so we must do our best job every time. • Make service the foundation of our business; every client and project deserves personal attention to detail, strict quality control and close start-to-finish supervision. Gonterman Construction is a full service luxury custom home builder and remodeling firm located in Newport Beach, Orange County CA. We opened our doors in 1996 to enable people to build the property of their dreams in this stunning coastal region, and have worked on dozens of projects since then. Founded on the principles of honesty, transparency, and integrity, we go above and beyond expectations to provide an unsurpassed level of expertise and knowledge. At Gonterman Construction, exceptional customer service is at the heart of our business, and can be felt at all stages of construction – from the initial consultations, to design, project planning, and execution. With our qualified, experienced and professional team, you can see your concept materialize into a well-built, intuitively designed modern property. VISIT OUR SHOWROOM: 614 .S. 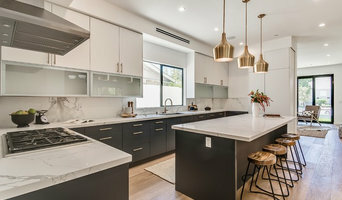 EUCLID ST, FULLERTON CA 92832 Horizon Construction & Remodeling provides a vast range of services for all of your construction and renovations needs. While home construction and remodeling can be exciting, choosing the right contractor for your project is essential. You need a local builder in your area who is experienced and known to have completed the work on time as promised. You want a licensed contractor you can trust to be ethical and known for his integrity. We are your friendly contractor. We strive to provide a high end services and outstanding build quality, while keeping within your budget and time frames. Our reliable and professional services are comprised of our accumulated knowledge and years of successful construction experience. We will guide you through all of the design and build process and manage the entire project for you while keeping you involved and informed in all major decisions, to ensure your total satisfaction. The owner & project managers have more than 10 years experience in construction industry. We usually do not use subs, so we can ensure the quality of all our work. We offer professional design and personal attention from start to finish. Free consultation for Home Owners - all present at same time during consultation!!! Skyline Developing & Construction's work is tailored to your lifestyle. Our focus is to please your aesthetic senses while meeting your needs. We provide the highest quality in remodeling and new construction with an emphasis on detail and perfection. We consider you, the client, as our top priority and strive to turn your dreams into reality. Your privacy is highly valued and we ensure that our work is performed in the pre-arranged timeframe. We respect your home and workspace by cleaning up at the end of each work-day not only upon project completion. We are always available for consultation, guidance or simply reassurance. Skyline is unique in the construction business as we provide regular on-the-job supervision and are an owner-operated company. We personally manage each project from beginning to end. Skyline is an all-encompassing, full service company. We can assist you in designing or planning development of your project as well as in decoration. Combining experience and expertise with your vision and expectations will prove to be an effective collaborative approach. We promise to work with you throughout the entire process, step-by-step. Our mission is to transform your home or workspace into something not only beautiful but also functional! Skyline's projects range anywhere from minor repair and remodeling work all the way to ground-up new construction. For West Whittier-Los Nietos residential home builders who also act as developers, the job starts well before the first nail is driven. They perform local market research to determine whether the prospective homesites make sense in the West Whittier-Los Nietos, CA market, as well as survey the land on which the house will be built to make sure it is suitable for construction. Custom builders also obtain the necessary permits. A good custom home builder in West Whittier-Los Nietos, CA has skills that go far beyond construction — he or she must supervise subcontractors and artisans; keep tabs on local zoning regulations, building codes and other legalities; inspect work for problems along the way; and perform dozens of other roles that are essential in building a quality house. Here are some related professionals and vendors to complement the work of home builders: Interior Designers & Decorators, Landscape Architects & Landscape Designers, Architects & Building Designers, Kitchen & Bath Designers, Specialty Contractors. House builders are responsible for ensuring that the home-building project sticks as closely as possible to the specified timetable, particularly in the event of change orders. Custom and luxury home builders in West Whittier-Los Nietos, CA also need interpersonal skills to deal with clients of all types, soothe frazzled nerves, negotiate conflicts and resolve problems. Find custom home builders in West Whittier-Los Nietos, CA on Houzz. Narrow your search in the Professionals section of the website to West Whittier-Los Nietos, CA home builders. You can also look through West Whittier-Los Nietos, CA photos to find a house you like, then contact the builder who worked on it.